Spread the mixture on the tortillas, and then sprinkle over the diced bell peppers and green onions. 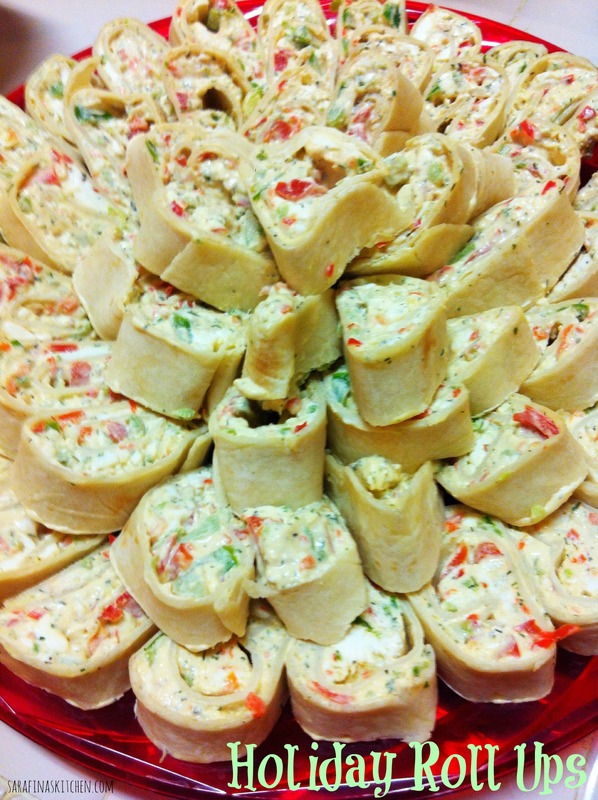 Roll up tightly, wrap in plastic wrap and refrigerate until party time (for at least 1 hour). You’ll love them! Soooo good.